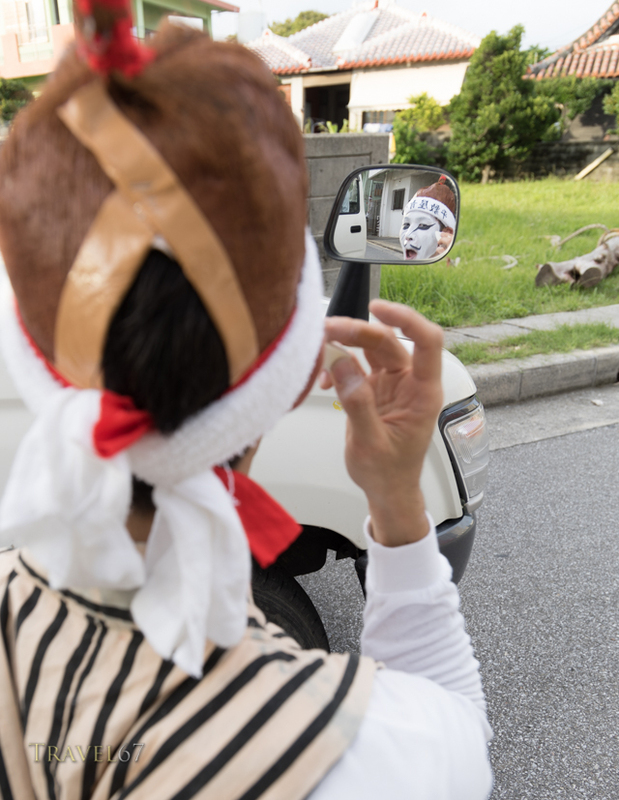 Obon (or bon) is a traditional festival to honor the spirits of ancestors. 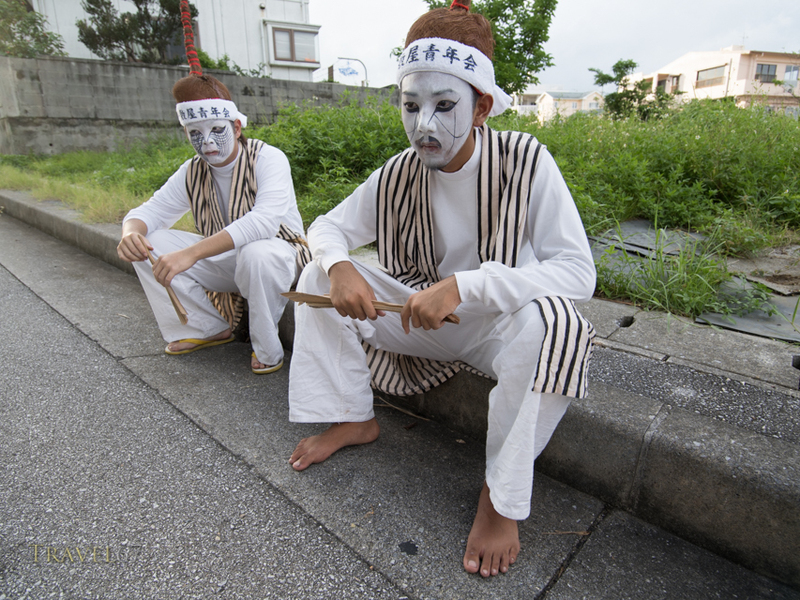 In Okinawa families often have picnics at the tombs where the remains of previous generations were laid to rest. 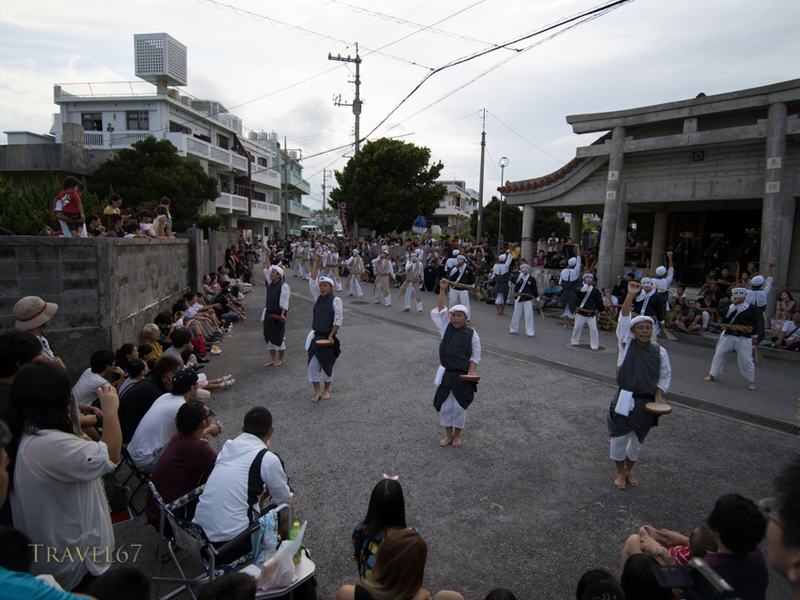 Eisa are traditional Okinawan folk dances usually performed during Obon. 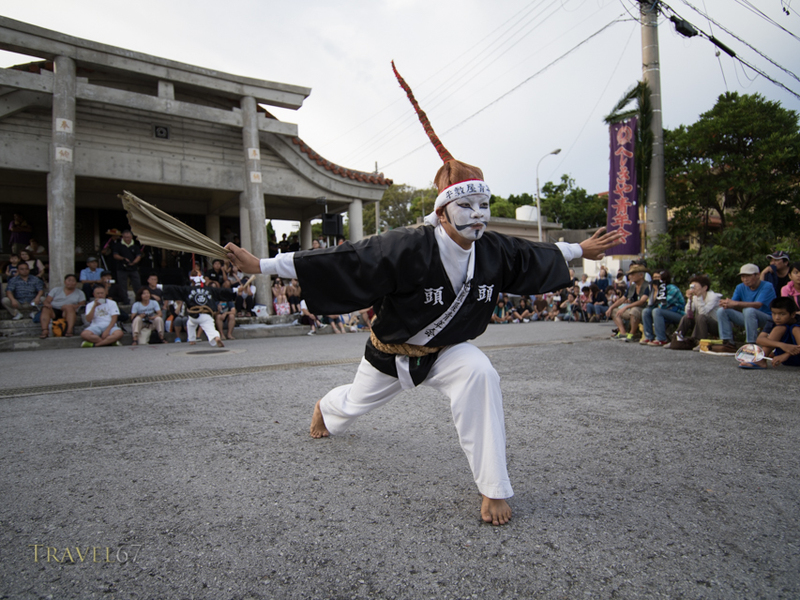 There are huge commercial gatherings of dancers such as the All-Okinawa Eisa Festival in Koza, but small local events take place all over the prefecture. Heshikiya Eisa, Katsuren, Okinawa – Drink! 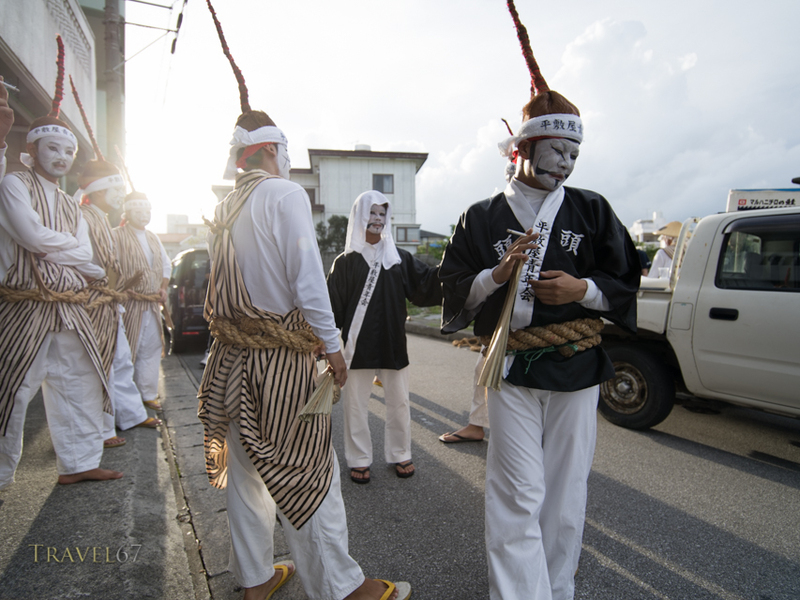 Last weekend I drove down to Heshikiya on the Katsuren peninsular to photograph their local eisa event. The dances begin around dusk, but I like to arrive early to get some portraits and preparation shots before the event begins. 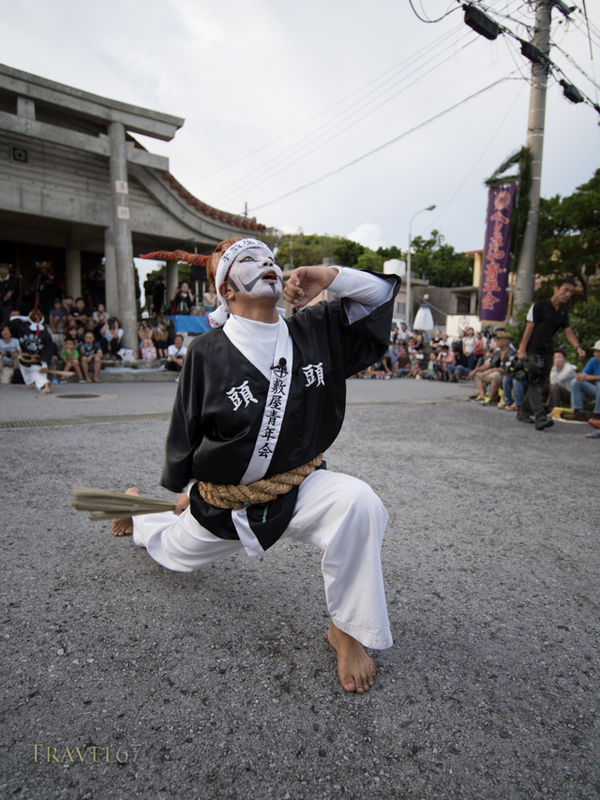 Heshikiya Eisa, Katsuren, Okinawa – It burns! The Heshikiya Eisa has an unusually large number of chondara. 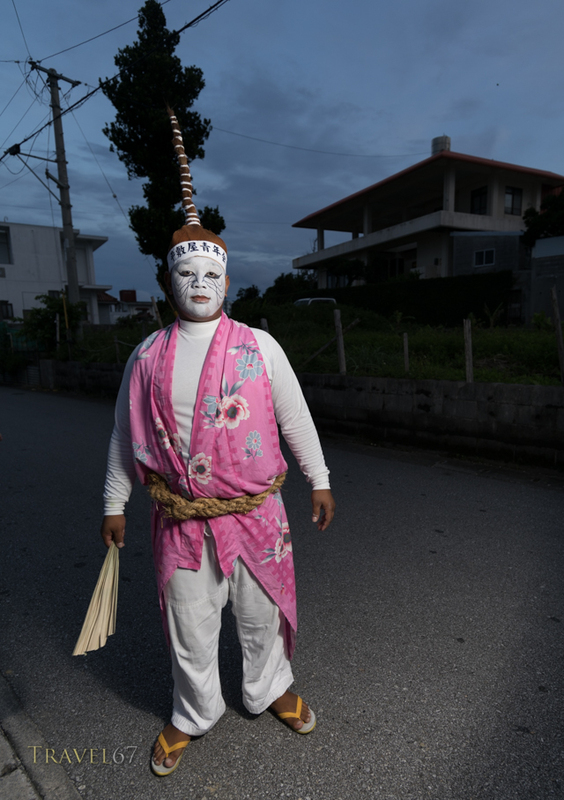 In some Eisa groups there is a single chondara whose role is a mixture of conductor, cheerleader, and clown. 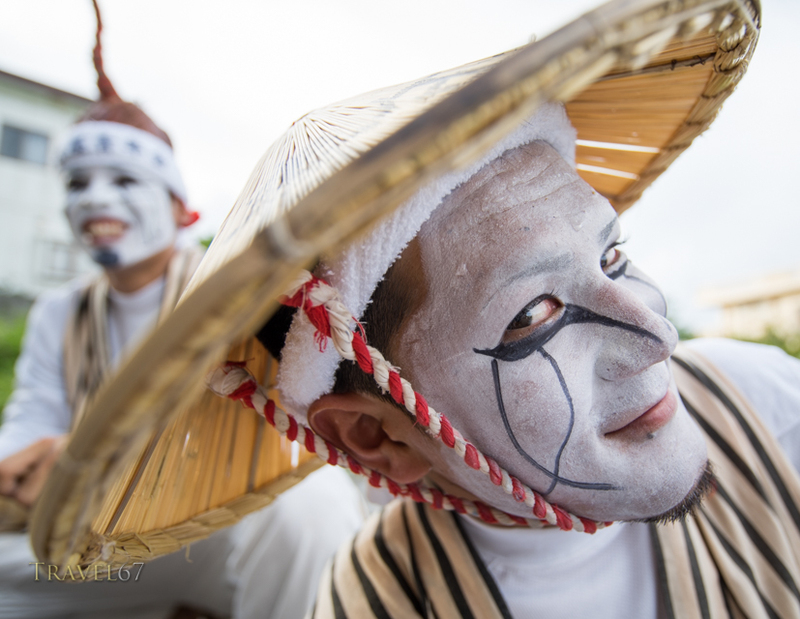 At the Heshikiya Eisa the chondara were the stars of the show performing their own dances. 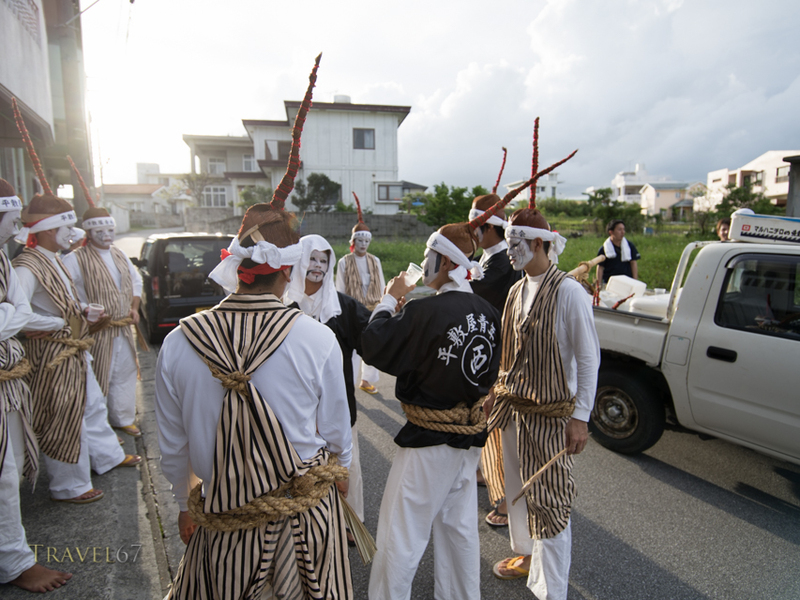 As the sun set, the locals gathered around one of the shrines and all the drummers began to dance. Once finished they would move on and perform again in another part of the village. As I walked away from the shrine, another group of dancers were preparing to perform with their own colorful chondara to lead them.